Snapdragons are a flower that has multiple uses in the garden; they smells great, attract pollinators and comes in scads of colors. The National Garden Bureau has announced 2019 is “the year of the snapdragon.” This is important for one main reason: for the next three months your news feeds (which I couldn’t even have imagined when I started writing this column back in the ’70s!) and any magazines you read, will be punctuated with articles surrounding this announcement. These will be followed with lots of derivative articles and stories on planting, growing, using and harvesting snapdragons. Who, you may be asking, do these folks think they are that they get to be the declarers of anything, nonetheless something as seemingly important as this? Well, I will tell you. Located in Downers Grove, Illinois, the NGB is the marketing arm of the seed and plant industry, the guys who sell to our nurseries and catalogs. There is nothing inherently wrong with having a marketing arm. I just want you to know that these press release articles are not popping up spontaneously. So, look for stories that headline: “Looking for a flower that has multiple uses in the garden, smells great, attracts pollinators and comes in scads of colors?” These marketing campaigns happen every year, but are usually not applicable to Alaska. Ah but as it turns out, all that the NGB has to say about snaps is true and true here. In fact, I would go further and add that we are a great place to grow them because of our cooler summer temperatures. In the Lower 48, snaps stop flowering when it gets warm. And, if it is really warm, then they often don’t flower at all in the summer. Here is the big problem for Alaskans, however: there is always a dearth of all but the shortest types of snaps sold as starters. I know because I am such a huge fan of the tall snapdragon types that I lurk around nursery aisles in search of the few flats that do seem to get planted. I am hopeful that the announcement of the year of the snapdragon will be accompanied by the availability of lots and lots of taller snaps. Snapdragons are not difficult to grow. However, they do require a bit more time indoors under great light so they don’t grow floppy and spindly. All of your favorite seed catalogs offer snapdragons as do all seed racks. 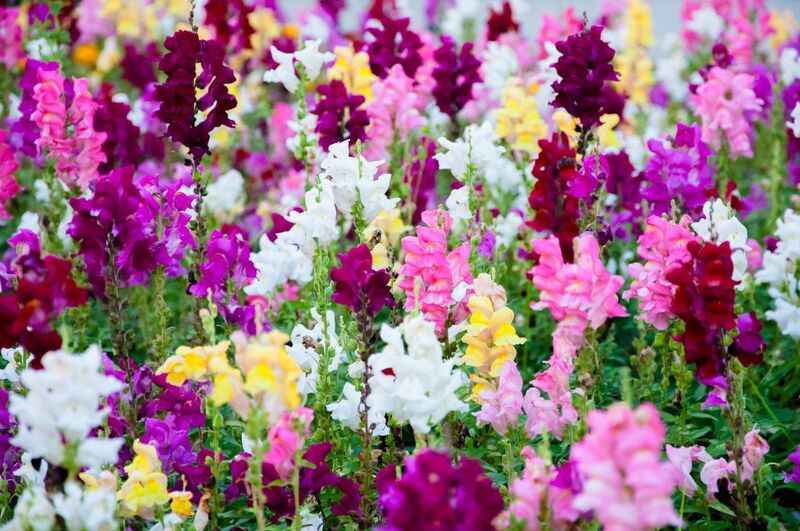 In fact, starting from seed is the only way you can ensure not only tall snaps, but the fancier snapdragon varieties that produce different shaped and unusually colored flowers. One other advantage to growing your own snapdragons from seed is that you can pinch back the young plants so that they adults will be bushy and throw off more than one spike. Pinching a flat of snaps at the nursery is simply too labor intensive. By the time you find tall snaps for sale, it is almost always too late. Alaska Botanical Garden: There is just too much going on to list it all. From summer camp to spring classes, plant sales, garden beds and guided help, all gardeners owe it to themselves to check out the ABG website. Nurseries: Start visiting and poking around. Lights: You need supplemental lights if you want to start seeds that require time, to grow. Go to a grow store and get something to use. Now.